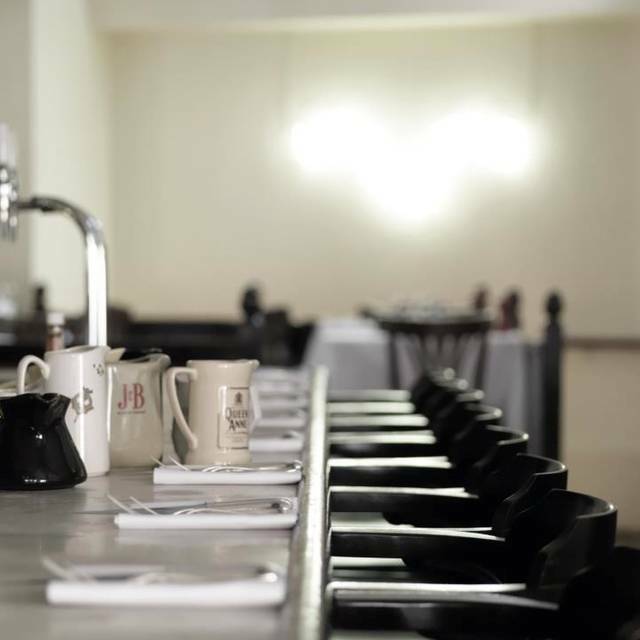 You must make bookings at least 5 minutes in advance of the time at HIX Oyster & Chophouse. Parking is available at meters on Cowcross Street. The nearest tube is Farringdon on the Hammersmith & City, Circle and Metropolitan and Thameslink lines. 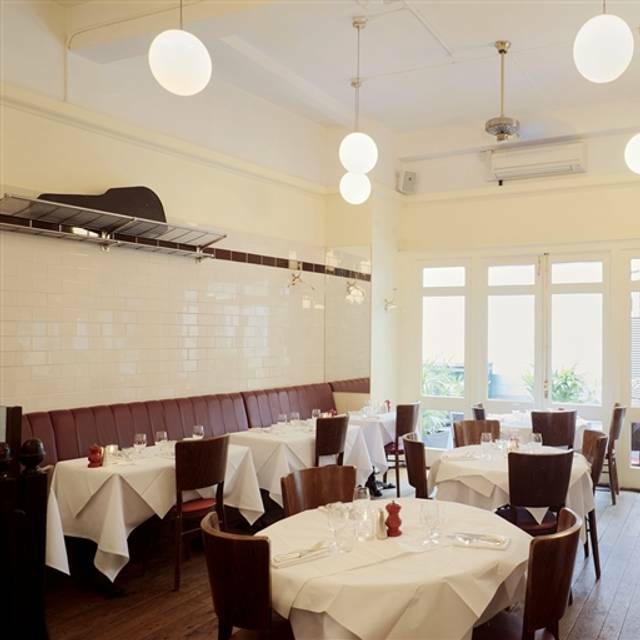 The restaurant is located a few minutes walk from the tube station off Cowcross Street. We can accommodate parties of 32 people in the restaurant for feasts. 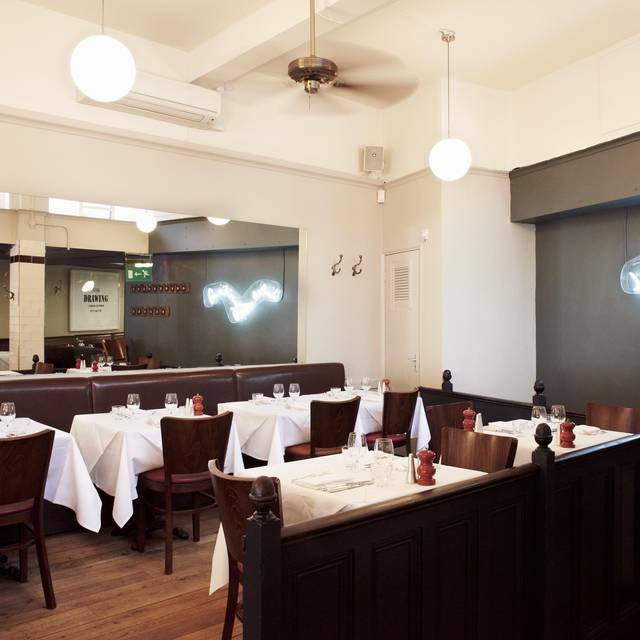 The Chop House is also available for private book-outs, bespoke events and breakfast meetings. The restaurant can be booked out for up to 100 people for lunch or dinner. 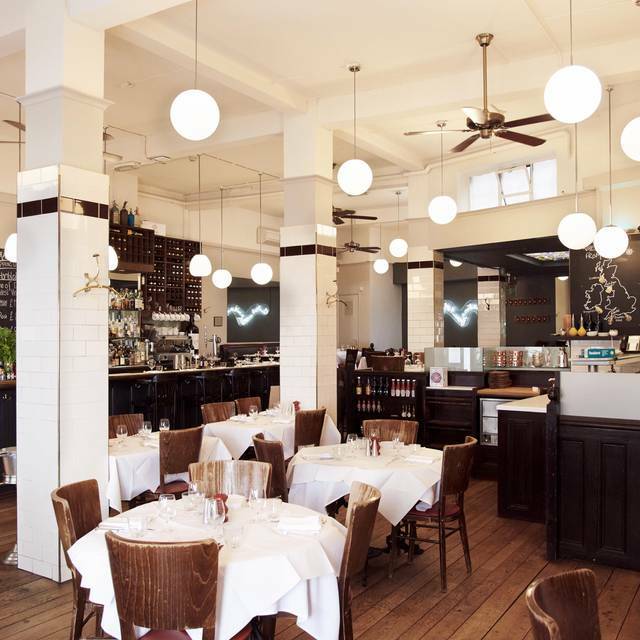 HIX Oyster & Chop House is situated a stones throw from the Barbican theatre and Smithfield Market, London’s historic meat market. The wooden floors, marble oyster bar, tiled walls & linen tablecloths go towards creating an elegant yet unfussy dining room. 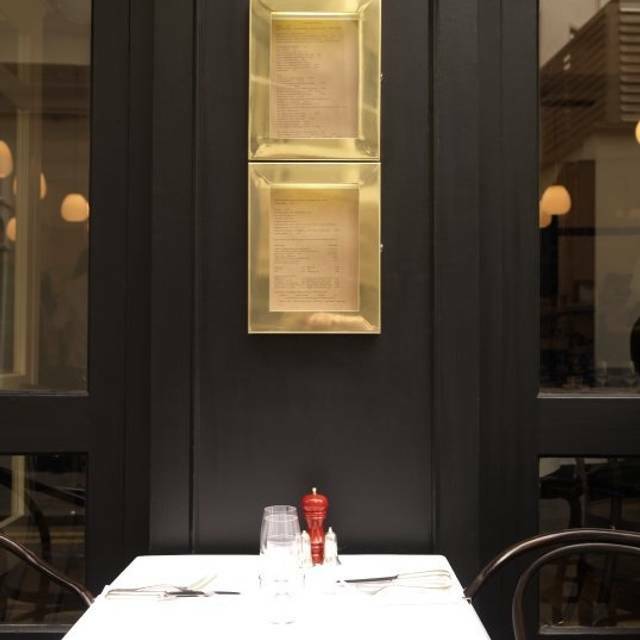 The menu reflects Mark Hix’s signature British style with seasonal dishes featuring oysters from around the British Isles, a selection of fish dishes and of course a wide selection of meat and steak on the bone. The Sunday Roast Club offers sharing starters and a choice of meat, carved at your table. Visit the Chop House any Monday night and pay no corkage when you bring your own wine. Happy hour oysters are served every day 4-7pm for just £3.75 for three. The both Oyster and Chop are average. The main hall was a bit noisy.. Delicious meal, friendly & helpful staff. Lovely evening - thank you very much! Food was great, and when we did have someone serve us they were good, just was VERY slow! It took 20mins after we arrived for someone to serve us tap water! His Oyster and Chophouse manages to deliver on great British produce in an innovative way. Brilliant wine list which covers the world with some real gems at various price points. The staff are great they add to the ambiance of the meal, by their attentiveness and knowledge whilst not being intrusive or overbearing. The layout and decor work well with some quirky aspects to the room. Had a nice meal at Hix - had steak and mash and credit crunch ice cream with chocolate sauce. It wasn't up to the standard like Hawksmoor but enjoyed the meal nevertheless. Our third visit in the last 12 months - so it must be good! We're retired now, so value for money is even more important than it used to be. 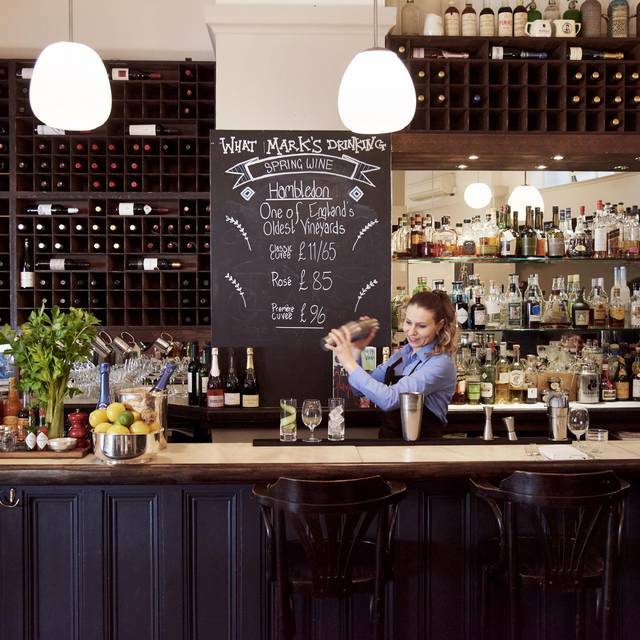 HIX offer a cheerful (not grudging) corkage-free Monday, in addition to their usual oyster happy hour (three super-fresh oysters for £3.75, if ordered before 7pm). 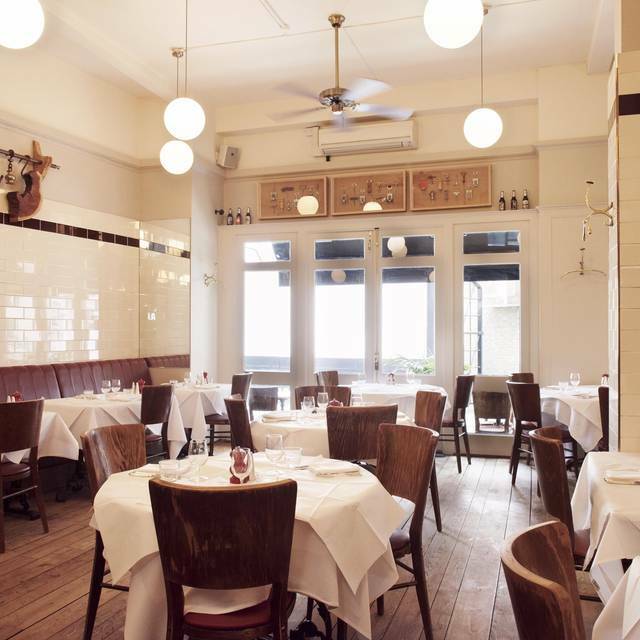 HIX is a charismatic, hidden away, gem offering excellent fish, seafood and steaks. It's one of our favourite places in London. On a warm sunny evening there are a couple of tables outside - ideal for an early evening glass of wine with oysters, watching the world go by, before sitting down inside for the main event. Favourite of ours. Great steaks. Brilliant service and fantastic mixology behind the bar ! This restaurant has really gone downhill. Used to be fun, tasty, and popular but it's in the doldrums now. Avoid the credit crunch ice cream; full of icicles. Service indifferent. This is a local restaurant for us and we often use it for corporate lunches with clients. Everyone seemed to enjoy their food and my fillet steak was cooked to perfection. Best steak I've eaten in a year. My guests did justice to the enormous Porterhouse steak for two. All washed down with an excellent St Emillion (Chateau Lucas). There's space between the tables and it isn't too noisy so its a good business venue. Friendly but slow service, for a place with focus on oyster and chops only medium quality oysters, and the porterhouse steak was max mid-level meat quality. Excellent vodka martini cocktail, and the steal was grilled perfectly to the point. However, at these prices we would expect best quality of meat and mussels. Wonderful food, friendly efficient people, made the kids feel at home - thanks! This is my second visit. Excellent oysters. A wide choice and wonderfully fresh. The oysters are spectacular value if you can arrive before Happy Oyster Hour finishes at 7pm. The steaks were faultless too. Overall, this remains an excellent and charismatic restaurant. Just as it was for our last visit. Not cheap but you get what you pay for. Will go again. Great service and ambience for lunch. Nice juicy cut of meat with a slight charcoal on the top. Booked a table on a Friday night, the place was empty. Good house wine, but side dishes had very little seasoning. Ordered two stakes, medium to well and rare. Both arrived well cooked and supplied with blunt stake knifes. The tast was basic at best. A most wonderful family dinner for nine people. Superb service. Thank you. Excellent food, service and the staff are very helpful and warmly welcomed us. The atmosphere was as expected from a top class restaurant. My wife and I had a lovely time and enjoyed superb food. We will definitely be returning soon. Authentic, stylish, interesting and sublimely cooked well sourced food, in a relaxed but convivial atmosphere, managed by attentive staff who clearly take pride in their work and the restaurant. Lovely restaurant, brilliant menu, classic cuisine. An all-round home run! The oysters are awesome and fresh! The service is outstanding. Like friends and feel warm from them. Nice place for date. Definitely come back HIX again. i ordered the tart for dessert that was amazing! Please take a try! Great food and location, service felt a bit rushed. Excellent food and a good atmosphere. Service was ok but very slow. I have been here several times. As time goes by you become familiar with the food which is consistent and delicious. Don't skip the snacks at the beginning as the cockle popcorn is a revelation. Our last visit was a post-Christmas Sunday-lunch gathering of friends. No one was disappointed with the options (we wandered across both menus). Wines are organised by price (£35, £45, etc. ), which made it easier somehow. The friendly, no-rush service made for a very pleasant afternoon. Great food, great service.. Highly recommended!! Warm atmosphere, professional service without being stuffy. Solid menu, generous portions. Stick to oysters and meats. Excellent cocktails, and wines. The fresh fish and oysters were very good - a bit let down by boring French Fries - which are NOT proper chips as menu listed. Nice carafe wine and appreciate the regular top ups of water. We know our tastes and our wine so were a little taken aback by a bit of pushing to change our order ! We live locally so by no means our first visit. It is a little too expensive for us to eat there as often as we should like. Delicious cooking of local, seasonal British ingredients overseen by imaginative, attentive but discreet staff, in a beguiling setting. Short stroll from Tube. 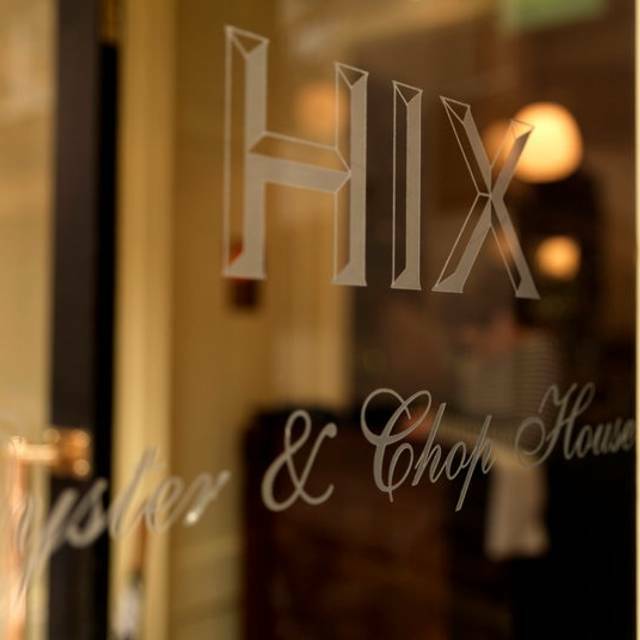 The Hix Oyster and Chophouse fantastic. The staff was very attentive and knowledgeable. The oysters were delicious and the cuts of meat were fantastic. This was a place that I would recommend for a date night, business meeting, or looking for a great steak. 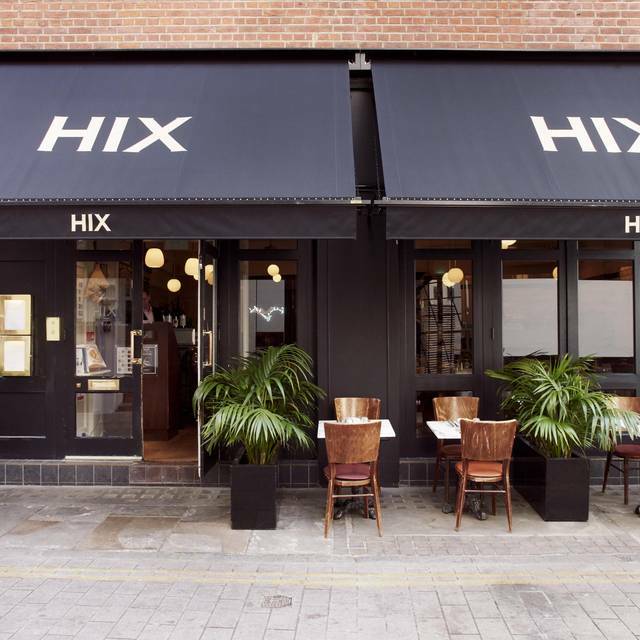 You have to check out Hix. We were so satisfied with this meal and experience that we wanted to go back several times during our stay in London. Quality of food was exceptional - every dish was excellent. Service was good too - friendly but professional. Would go again. Everything was perfect. Service was impeccable, engaging, thoughtful and perfectly timed. Food was faultless! Wine suggestions exactly right. Steak was average. Overcooked. Sides were ok. All in all food/service/ambience was average. Classic cuisine strongly influenced by British cooking. Meat and seafood as name suggests. When busy can be noisy ( but fun) we dined Ona late Dunday but service and choice excellent Dover Sole perfection, wine waiter super attentive without being intrusive, good value given the excellence of the cuisine.